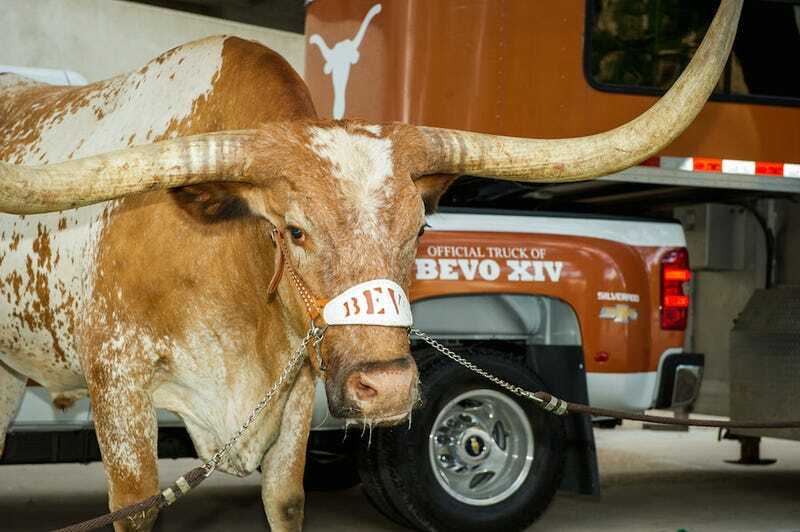 Bevo XIV, the Texas Longhorns’ mascot, died today. He was 13. Bevo was diagnosed with bovine leukemia virus and missed last Saturday’s football game, where the Longhorns upset a 4-0 Oklahoma team, 24-17. Bevo’s stand-in was some dorky dog with horns; the replacement firmly proved that a steer of that magnitude has no substitute. Farewell, sweet Bevo. You’ll never have to watch another Texas football game again.